A new update has just been released for those of you who own a Tesla Model S or X. This latest update is called 2018.6.1 and includes a couple of new/updated features that are all explained by our friend Erik who runs a YouTube channel called, DÆrik. Now, you can now change your tyre pressure units between BAR or PSI. You can do this by going to your Controls menu, settings, units & format, and then finally set ‘Tire Pressure’ to BAR or PSI. The heated steering wheel function has now been improved, as well. This means it will return to the same setting from your most recent drive. This will save you time, as well as save you the annoyance of changing the setting every time you start the car. 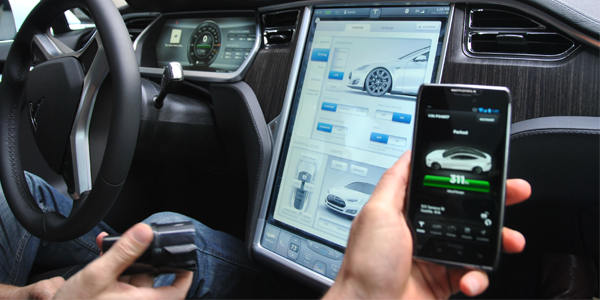 You can now contact Tesla Roadside Assistance from the touchscreen, too. Just tap the T icon at the top of the screen, then touch the phone number at the bottom of the pop-up. Just make sure you have a bluetooth enabled phone paired with the car. What do you want to see on the next update? Let us know in the comments!